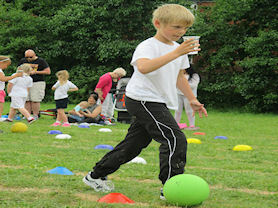 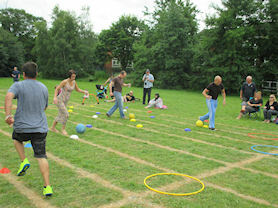 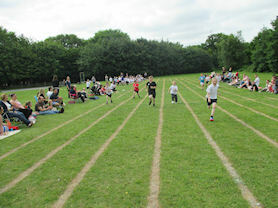 The weather stayed kind for Key Stage 2's Sports Day this year. 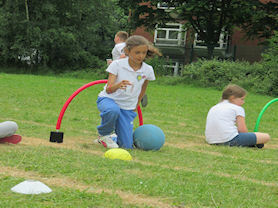 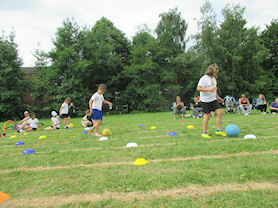 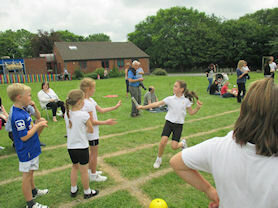 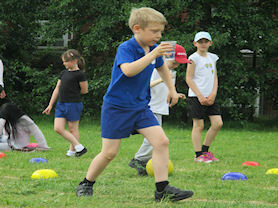 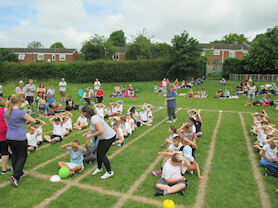 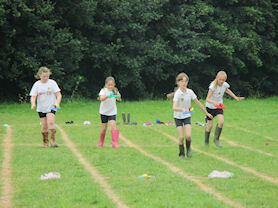 The children from Years 3 and 4 took part in a variety of races, including sprinting, skipping and relay. 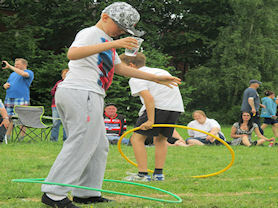 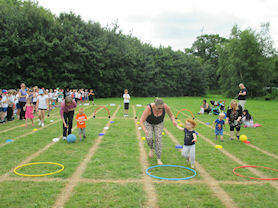 Everyone agreed that the most difficult, and funniest, was the water obstacle course, where children (as well as adults and toddlers) tackled a range of obstacles while carrying a cup of water. 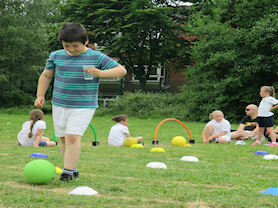 Watch out for those spills!